As we leave the summer heat behind, we look forward to the (slightly) cooler days of fall here in Texas. Halloween is now just around the corner, complete with haunted houses and hayrides for those who like a good thrill. But perhaps nothing is quite as scary as that chewy, gooey Halloween candy to someone who is living with a temporomandibular joint disorder (TMD). Those sugary sweet treats can spell disaster if you’ve got jaw pain, and with candy seemingly everywhere, it can be hard to resist. Fortunately, you can still enjoy the beauty of this fall season — and a few treats — if you’re savvy about which ones will be kind to your jaw and which ones should send you running away screaming. Here are our recommendations. Caramels: the chewiness of caramel can irritate a jaw that’s already overworked. Likewise, chewy candies such as Tootsie Rolls and fruit chews are a bad idea. Gum: Even sugarless gum is bad news for jaw health. The repeated chewing causes unnecessary stress and strain on the joint. 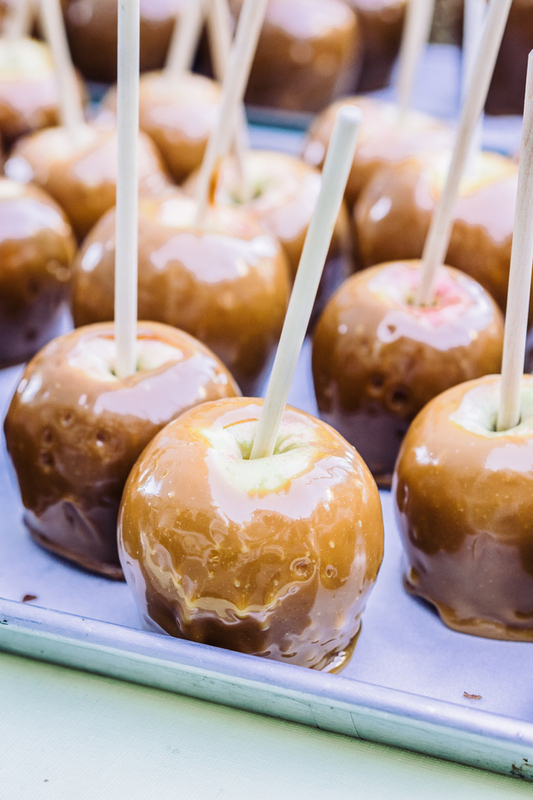 Caramel apples: The combination of a crunchy apple and chewy caramel is rough on a stressed jaw. Hard candies: Sucking on a hard candy moves the jaw into unnatural positions for several minutes at a time, leading to pain. Also, if you bite and crunch into these candies, you’re creating even more stress for a sore jaw. Crunchy candies: Smarties and other hard-coated candies force the jaw to clamp down hard, leading to aggravation of an already-sore TMJ. Dark chocolate: Quality dark chocolate has some antioxidants and health benefits. While we don’t advocate eating large amounts of it, it’s a healthier treat that melts in your mouth and is easy on the jaw. Apple cider: If you can’t eat a caramel apple, enjoy some apple cider. A splash of caramel sauce and cinnamon can give you the sweet caramel apple flavor you’re looking for. Try it hot for a soothing effect on sore facial muscles. Marshmallows: Toasted over a campfire, this low-calorie, soft treat can’t be beat! Nut butters and peanut butter treats: Peanut butter provides some healthy fats and nutrition, and it is much more jaw-friendly than the whole nut. Try a little almond butter on a piece of dark chocolate for a satisfying and healthy snack. Pumpkin: Pumpkin bread and cookies that are soft and non-chewy offer healthy, delicious tastes of the season. Pumpkin goes great in pasta and smoothies too! Don’t let TMD symptoms scare you this Halloween season. We have the expertise to help you get this complex condition under control. Contact us to find out more about how we can help. This entry was posted in Recipes & Nutrition. Bookmark the permalink.